So what if the game today was rained out. The steroid hearings are the real game today anyway. 1. Already, the ongoing Congressional steroid hearings have raised question after question after question. How did Jim Bunning get elected to the Senate? Is Major League Football what they’re calling NFL Europe now? Does Bud Selig have any shame? (Note: No.) And why haven’t some of the most likely targets been required to testify? Where is Giambi? Where is Bonds? 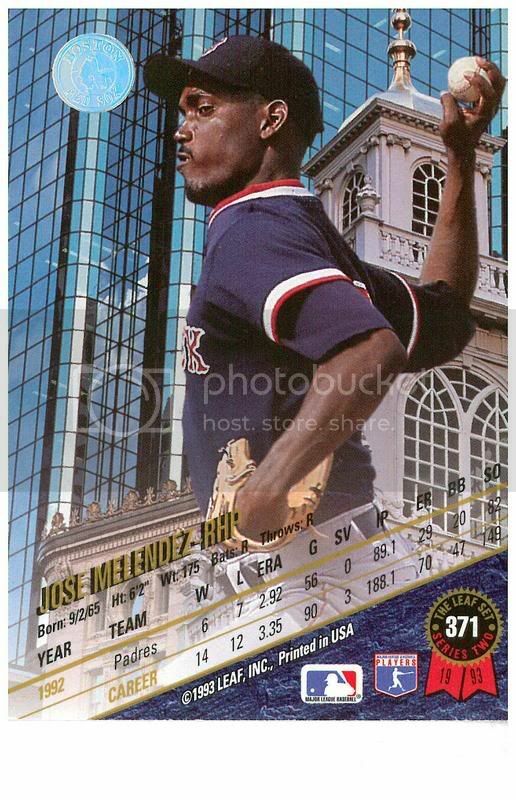 Where is Melendez? The first two were apparently released because they are part of an ongoing federal investigation, but why not Jose Melendez? Presumably the fact that Jose is neither a professional baseball player nor a steroid user has something to do with it, but that is no excuse. Jose would have been a terrific expert witness, as he likes to think of himself as an expert on everything. And if he was able to get a word or two in edgewise, he would have been great on a panel with Curt Euro and Frank Thomas. general breakdown of American society. It is like crack but not as dangerous and not addictive. If steroid use persists, the future of baseball is bleak. Not Alaskan wilderness bleak, but like 40 degree days in April bleak. To see how grave the situation is we need look no further than our other national pastime professional wrestling. Today, wrestling is dominated by flamboyant musclemen, lumbering giants and Canadians who hit each other with chairs, sledgehammers and automobiles in mad fits of roid rage. Jose longs for the days before steroids, when wrestling was led by decent, humble men like Gorgeous George. daughter. Do not let steroids ruin baseball like they have wrestling. What TC means: Today Congress launches hearings into the seedy world of competitive sewing. What TC means: Seriously. Don’t look at me. I’m hideous. What TC means: This hearing is on the superconducting supercollider. Right? What TC means: Or are these Congressional hearing into Survivor? What TC means: Which is outrageous. After all, Congress was only elected by… get this… the people. I was appointed by Pat Purcell. What TC means: Which is a big problem given the new bankruptcy legislation. Oh…that would be a credit problem. Never mind. What TC says: Always, without exception, baseball is where we have gone to escape reality. What TC means: Or drugs… some people use drugs to escape reality. What TC says: Let this be a lesson to you, Mr. Baseball. What TC means: I am now talking to a Tom Selleck movie. 3. Johnny Damon missed yesterday’s game with cellulitis, the same ailment that set the stage for Jose’s gusty performance in last year’s World Series. The skin infection, which can be serious, had reached Damon’s lymph nodes, making it a more advanced infection than the one afflicting Jose. But honestly, Jose was thrilled to hear about Damon’s illness. As Jose knows all too well, cellulitis demands a 10 day course of antibiotics during which one may not consume alcohol. This practically ensures that Damon, who raised a stir last year when he suggested that perhaps he parties a bit too much, will start the season in great shape. 1. One challenge Jose is going to face in the upcoming season is that he will not be able to depend on the reliable contributions, the yeoman’s work really, of his brother Sam Melendez. Throughout the 2004 season, whenever Jose’s stuff lacked its normal snap, he could count on Sam to give him some juice with a pithy line comparing Megatron Lowe to the Iron Giant or whatnot. This year, Jose will not be able to count on his younger brother for back up. Knowing that he has seen the greatest party Boston will ever have, Sam felt free to go West, to sail the Pacific (note: or at least from Seattle to Alaska) like his great grandfather Iwaishi Melendez before him. Of course, if Sam kills a whale, it will technically be a "crime" and "violation of the treaty on whaling," rather than "part of his job," so instead he will probably spend time doing repair work and waiting on guests. On the plus side, he will probably not be required to go into the head of sperm whales to gather the spermaceti, because unlike his great grandfather, he is not small. Also, let Jose reiterate, Sam will not be killing whales. Greenpeace please do not send letters to Jose or sail the Rainbow Warrior up to his apartment. So Jose will be forced to turn to his older brother Jack Melendez for assistance. Jack is the older brother that Jose never knew, the older brother who was sent off into the wilderness for failure to comply with Jose’s parents’ fair and reasonable rules. Okay. Technically, Jack did not exist… as best Jose knows. Jose’s father just read somewhere that creating fictional siblings who had disappeared was not a good idea when one has young children who might fear abandonment, so naturally, he assumed that creating a fictional sibling would be hysterical. He was right. But what is the point? Well, with Sam available only for occasional telephone advice, Jose will be forced to rely on Jack… but it’s a little bit like telling Ramon Martinez that instead of relying on Pedro in the 1999 ALCS he was going to have to rely on his brother Jesus instead, as Jack Melendez, much like Jesus Martinez, does not exist. 2. Now that Jeremy Giambi has come clean about his steroid abuse, we, as Red Sox fans, have to face the facts. Let’s just admit it, the 2003 season was tainted. A juiced up Jeremy was on the 2003 Sox – barely. Had he not been juicing, he probably never would have taken at bats from David Ortiz early in the season, the Red Sox would have had a better start, would have won home field advantage and may well have won a Game 7 played in Fenway Park. That makes the 2003 season tainted. TAINTED! TAINTED! TAINTED! Of course, it’s also been made irrelevant IRRELEVANT! IRRELEVANT! IRRELEVANT! by the 2004 season. 3. All Jose has been able to read about for the last few days is that the Fab Five were headed to Florida to do makeovers on a number of the Red Sox. Jose knows that spring training is boring and too long and reporters are desperate for news, so if they want to cover this non-story that’s fine, but they should still try to get their facts right. Jose has been looking very carefully and he has seen no sign of Chris Weber, Jalen Rose, Juwan Howard or Jimmy King. All he has seen is five gay guys running around. That said, it is possible that the guy in the pink shirt hugging Kevin Millar on the front page of the Herald could be Ray Jackson. After all, no one has seen Jackson since he left Michigan. This week, Jose suffered his first significant setback of the preseason. Not only did he miss a few days, he also learned that Curt Euro does not expect to be ready to start the season opener. Jose has been planning a first rate opening day KEYS since the beginning of spring training and the lead was completely predicated on a Euro vs. Johnson match up. Without Euro, the piece isn’t going to work, which means Jose is two weeks behind where he needs to be. Could Jose go on opening day? Yes, probably, but he doesn’t think that he should go unless he’s 100 percent ready. (Note: Or at least 99.99 repeating percent ready) So will Jose be able to post on opening day? It’s looking sketchy right now. Of course, he could just be building the drama like a certain ace pitcher. Apparently, Tony Castrati’s new book, which Jose has not and will not read… or translate… details some conflict between Curt Euro’s wife Shonda and Johnny Damon’s then fiancee, now wife, Michelle. Reportedly, Michelle, declined to wear the lucky scarf recommended by Shonda during the post season, greatly upsetting Mrs. Euro, who suggested that Damon’s struggles at the plate were due to his fiancee’s whorishly exposed neck. While Jose usually frowns on superstition, he is inclined to buy into the idea that the neckwear of wives and girlfriends does affect playoff baseball games. He believes this one superstition because there is actual evidence. According to Jose’s sources, while the Red Sox wives wore lucky scarves, the Yankees wives wore lucky chokers. 3. Currently, the flu is making its rounds through the Red Sox pitching staff, affecting Curt Euro, David Wells and BK Kim, yet the position players have been left largely untouched. The question is why? Jose’s theory is that when a pitcher walks around with a big bag of ice on his shoulder, it lowers his body temperature and leaves him more vulnerable to infection. Alternatively, the pitchers are already passing around the shot glass before games. More alternatively, not even the flu wants to listen to Kevin Millar yap for three days. Even more alternatively, it’s not the flu at all, but SARS… you know… Starter And Reliever Syndrome.